With the year drawing to a close (already!) everyone is looking back at the last year and reflecting. It is a wonderful time for families to look back on great memories from the last year and start looking forward to creating more in the coming one. Media outlets also like to look back and reflect on the best, the biggest and the newest of the past year to help inform the year to come. 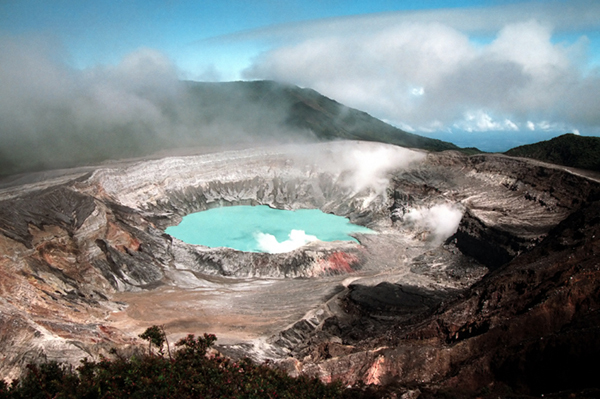 Search Engine Bing is no exception, and they have amassed their most searched vacation destinations of 2014. RealFamilyTrips thought it would be fun to combine these two into a great feature for our readers. As you and your family look back on what we hope was a great year, check out these destinations and see why we think they’re great for families! This is what everyone has been talking about, let’s see if we can’t help you get there in 2015! NOTE: For many of these locations we have multiple itineraries for an array of experiences. Enjoy a brief overview of each location and a featured itinerary, then click the city name to see more. 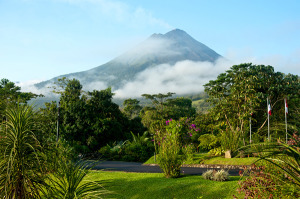 Costa Rica – With everything both nature lovers and adventure seekers craze, this destination can find you relaxing on the beach, climbing a volcano and communing with animals…all on the same day! Our Favorite Day features a coffee plantation at Doka Estate, touring a volcano at Poas National Park, the beauty of nature at La Paz Waterfall Gardens and a little local fare at Plaza Real Cariari. Hawaii – An exotic getaway that feels like another world, yet still doesn’t require a passport. Hawaii has world class beaches, amazing food and a culture unto itself. Check out some amazing national parks for beauty without breaking the bank. Our Favorite Day is set on stunning Oahu and features a tour of Honolulu (with a chance to visit Pearl Harbor), followed by relaxing Waikiki beach, the experience of a whale watching cruise and the spectacle of the Magic Polynesian Show, combining pyrotechnics and magic with traditional song and dance. Puerto Rico – Has all the best of the Caribbean while still being an American territory. A nice, easier destination to visit for those unaccustomed to more exotic travel, this country is rich in history and culture with some of the choicest beaches in the region. London – London has some of the most storied and splendid traditions in the world. A great choice for families, children will love enjoying such treats as high tea, the changing of the guard and so many other familiar-yet-different experiences. 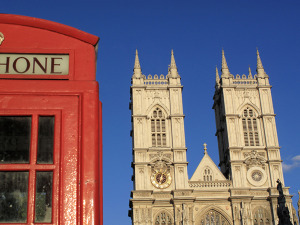 Our Favorite Day in London has families experiencing famed Westminster Abbey, experiencing the sights of Big Ben and Parliament and stepping into history at the Churchill War Rooms. This is followed by a chance to see well-known Downing Street on the way to ride the London Eye and take it all in from above. Jamaica – Jamaica has a distinct flair for which it is known the world over. A rich native culture brings amazing experiences in food, music and more as friendly locals show you tremendous hospitality. Enjoy the beach, a waterfall, sea life and more while marching to the island rhythms. Our Favorite Day features time to relax on famous Fort Clarence Beach where your family can enjoy a morning away from more commercial beaches. Then take in culture at the National Gallery and Devon House. Those with time left, or another day to plan, may want to check out the Bob Marley Museum as well! Paris – While most think of it as the world’s most romantic destination, which it may well be, we find Paris is also a joy with children. Enjoy outstanding art and history as you and your family walk a city where you can’t help but bump into something beautiful, important, or both. Our Favorite Day goes a bit outside of the expected sights like the Eiffel Tower and Louvre, to show your kids Paris “behind the scenes.” See L’Aquarium de Paris and Cité des Sciences et de l’Industrie for interactive exhibits in science and life that children will adore, before bringing them to Centre Pompidou for art the way locals like to see it. 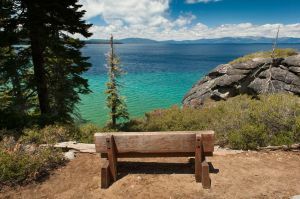 Lake Tahoe – Spanning California and Nevada, Lake Tahoe is a natural beauty that you won’t want to miss when visiting either, or both, states. The lake offers great fun on its own, while the surrounding mountains offer picture-perfect views for all to enjoy. Our Favorite Day gets families a decent amount of lake time with water activities in the morning, followed by a bit of hiking and amazing photo ops at Emerald Bay State Park. Bahamas – When you think of that impossibly blue water and white sand beaches that stretch on forever, this is likely what you’re thinking of. Experience a little bit of paradise on any of these gorgeous islands and your family will never forget it. Our Favorite Day is set in Nassau and allows families to experience a great variety. Take in Ardastra Gardens and Zoo, before moving on to the Pirate Museum which is sure to delight any child. Round it out with Blue Lagoon Island for a dolphin encounter like none other. Aruba – Here they know how to treat guests right, and this family friendly island spot will offer you and your children any activity you can think of. The challenge in Aruba isn’t finding something to do, it’s deciding what not to do when everything sounds so good. 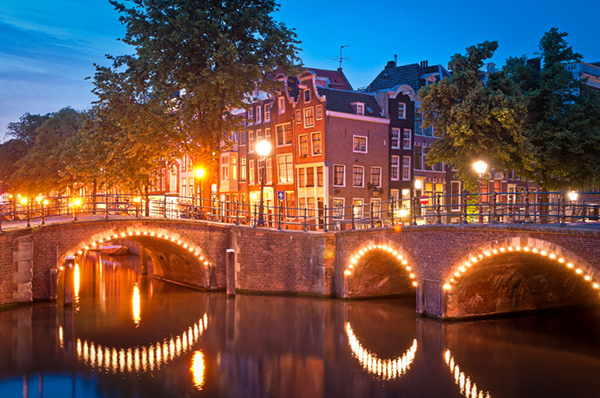 Amsterdam – Abound with history and culture, Amsterdam will help you expand your children’s horizons. Amazing art, a wealth of European flair and all in a city set along wonderful canals for a unique feel that will transport you to another world. Our Favorite Day will see you and your children enjoy the views from a canal tour, before visiting the beautiful and unique floating flower market. The tour historic Muiderslot Castle before moving on through history for the powerful experience of the Anne Frank House. These itineraries can be followed exactly for very realistic family days that are “doable” with children in tow. Or, if you like you can use them as a starting point and a handy guide to a few choice attractions in each location. The choice is yours. Because the only thing we love more than helping our users plan great family vacations is helping them save on those vacations, we have some links to share. Terms, restrictions and expiration dates apply. Check the full links for details. Great Prices for Barcelo Langosta Beach in Tamarindo, Costa Rica. One of Hotels.com’s top 8 all-inclusive resorts. Save up to $500 on Hawaii vacation packages with Priceline, starting from $327 per person. Hawaii Sale! 20% off or more on the Big Island at Expedia.com. The Honolulu Power Pass combines admission to popular attractions, museums and tours in Honolulu into one affordable package. Hawaii Family Fun from Hilton includes great hotel deals with free breakfast for 4, internet and bonus Hilton HHonors points! Save up to 40% on Hotels in Puerto Rico with Expedia! Save up to $500 on Puerto Rico vacation packages with Priceline, starting from $445 per person! Save up to $15 on a weekend rental in Puerto Rico when you book with Hertz.Use PC# 192872 in your reservation. Find and book London tours and activities on Viator.com. Book ahead to save time and money! London Shows – Save over 40% on Wicked, Lord of the Rings and More. 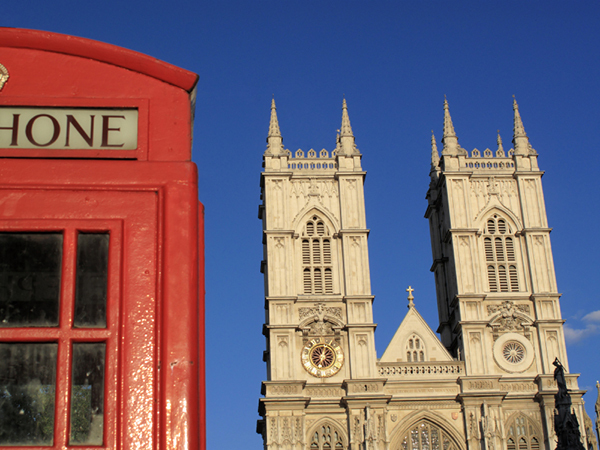 Save at London Attractions and skip the lines with the London Pass. Click Here for the Best London Hotel Deals available on Hotels.com. Top Hotels.com deals for Jamaica, get a great rate for your stay. Find and book Paris tours and activities on Viator.com. Book ahead to save time and money! Hotels.com ranks Lake Tahoe as a top ski destination, see their deals here. All available Bahamas cruises with CruiseDirect.com, cruise with the whole family for a couple days or a couple weeks! Hotels.com ranks Aruba as a Top Destination, see their top deals for it here. Marriott Villas in Aruba – Buy 4, 5 or 6 Nights, Get 1 Night Free! Private Tour: Amsterdam Rembrandt Art Walking Tour Including Rijksmuseum. Find and book Amsterdam tours and activities on Viator.com. Book ahead to save time and money! Click Here for the Best Amsterdam Hotel Deals currently available on Hotels.com. Check out some of the offers currently available for airfare and hotels at Kayak, Orbitz, Travelocity and Priceline. Besides the earlier options, check out Hertz and RentalCars.com. See more lodging options (if the above sale doesn’t point to something you like) at Hotels.com and Hilton. Please note that some of the links included in this piece are affiliate links and in such case, Real Family Trips will receive a small commission if you make a purchase after clicking on the link.